Whether your kids are just starting out the new school year, or you’re overdue for your next checkup, our Austin family dentist is here to help. Dedicated to providing exceptional quality dental care, our office makes the advanced treatment options available. From the state-of-the-art in preventive and emergency services, to the highest quality pediatric, implant, laser and cosmetic treatments for your smile, we’re well equipped to address the comprehensive oral care needs of you and your entire family. When it comes to the oral health of you and your loved ones, scheduling semi-annual checkups at our office is one of the best things you can do. With a proper oral care regimen at home and just one visit to your Austin family dentist every six months, you and your loved ones can almost entirely prevent the onset of dental disease. When you visit our office for your checkup, you’ll receive a comprehensive oral examination. Dr. Divya Shetty is highly skilled and experienced, and makes use of the latest diagnostic technology, to assess the health of your teeth, gums, jaws and all of the tissues in and around the oral cavity. From the first signs of gum disease, to cavities, and TMJ, our office is equipped to diagnose and address a sweeping array of dental issues before they have the chance to cause serious harm. Experienced in all facets of care, our dentist is well equipped to provide you and your loved ones with the gentle and precise care you deserve. From dental injuries, chipped, fractured, or avulsed teeth, to dislodged fillings, and impacted teeth, our dentist will restore your oral health. At Dental Smiles, we prioritize the comfort of our patients and emphasize the importance of communication throughout every procedure. For patients who experience significant dental anxiety, we offer options in dental sedation. 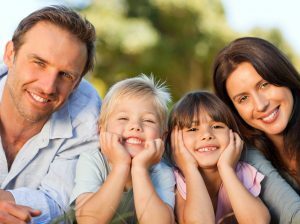 With the oversight of your Austin family dentist, you and your loved ones can continue to smile in the best of health. To receive the gentle and compassionate dental care you deserve, contact the friendly staff at Dental Smiles today!